Bhadrakali temple in Warangal is among the oldest temples India that are dedicated to Goddess Bhadrakali. 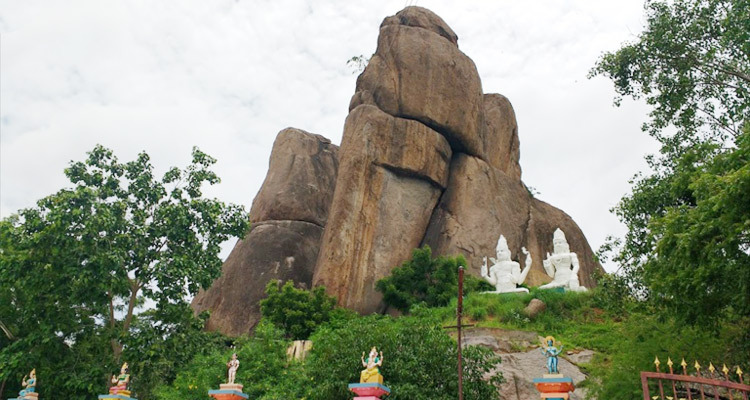 Located atop a hill, between the city of Warangal and Hanamkonda, by the side of Bhadrakali Lake, it is an ancient temple which was originally built during the Chalukyan reign in 625 AD. Bhadrakali temple regained its magnetism after it was renovated in 1950s by Sri Ganapathi Sasthri and a few other locals. 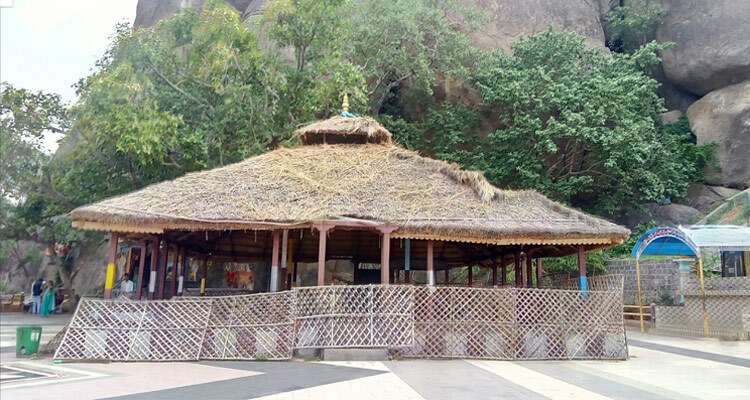 Although now it bears only a few traces of its glorious past, this temple is one of the most popular shrines and is visited by lakhs of devotees every year. 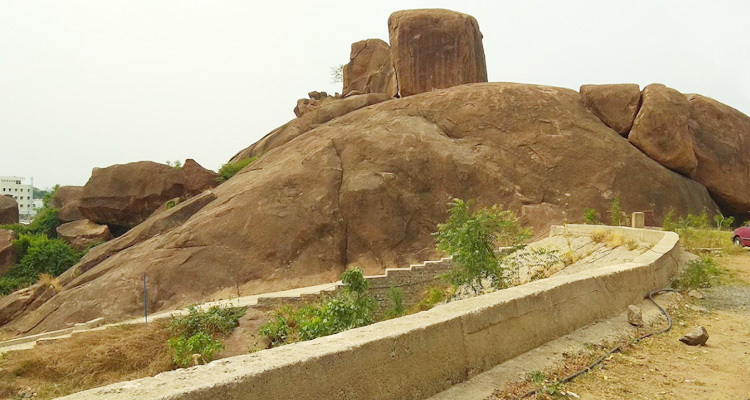 Along with historical importance and religious significance, natural rock formations around the temple also make this temple a must visit. However, as photography is not allowed inside the shrine, Warangal Bhadrakali temple photos cannot depict its mystical beauty. If interested, devotees can take photos outside the main temple. In this temple, the main deity is Goddess Bhadrakali who is shown in sitting position. She is shown with eight hands, each carrying one weapon and is wearing an alluring crown. The idol is 2.7 meters and is made out of stone. A fierce lion, the sacred vehicle of the Goddess is placed opposite to the sanctum sanctorum of the temple. There are many other shrines inside the temple as well. 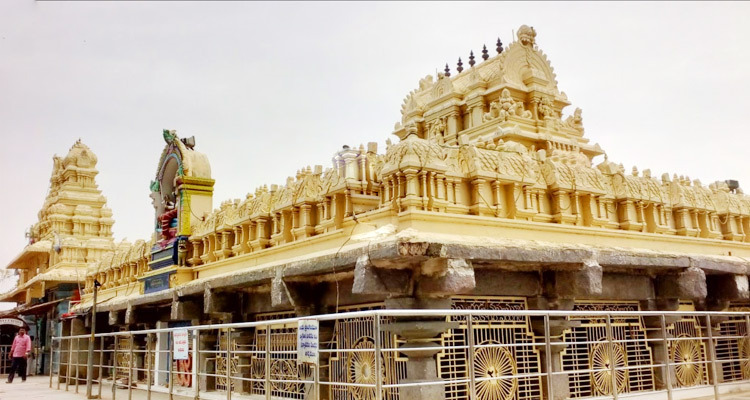 In Maha Mandapam, separate shrines for Lord Shiva, Hanuman temple, Subramanya Swamy and Navagrahas along with images of Uma Maheshwara images on stone are placed. These are said to be among the oldest idols of the deities, which have been carved out of stone. 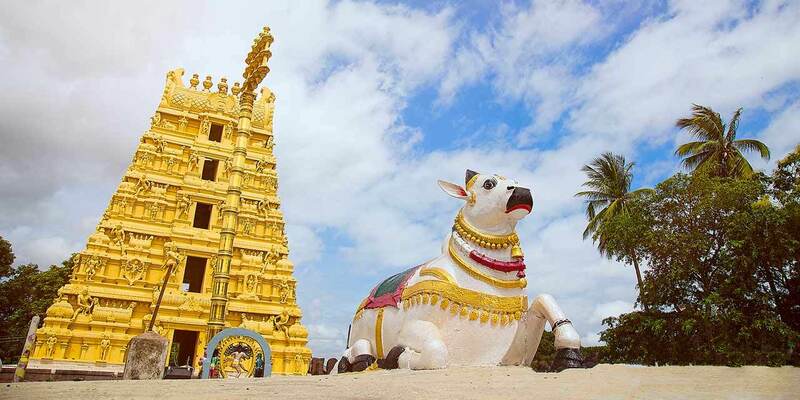 Shrine of Lord Vigneshwara, which is built outside the main temple, is comparatively recent. The deity in the temple is called Goddess Bhadrakali, yet the image of the Goddess is believed to be transformed by the holy mantras into Tripura Sundari, a rare form which signifies the supreme feminine power of the universe. The word Tripura Sundari literally means ‘beauty of the three worlds’. This state comprising of Goddess Kali form is regarded as a greatest manifestation of Prakriti. 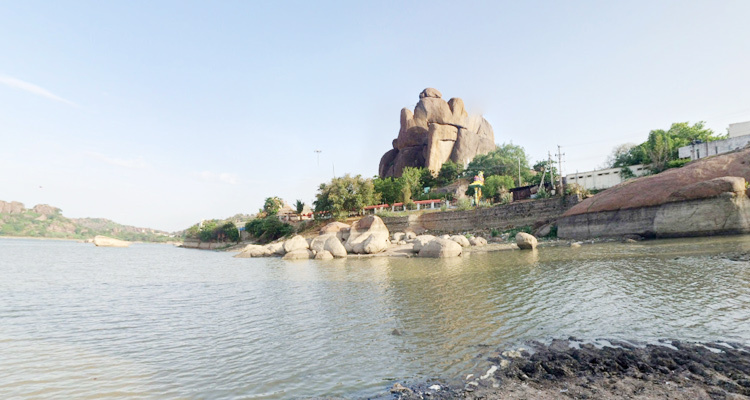 A captivating feature of this temple is the Bhadrakali Lake, which is a man-made lake built during Kakatiya reign to serve as source of water for irrigation and other necessities. This lake, spread around 2 and half km, is surrounded by hills and dotted with various natural rock formations nearby. It presents a peaceful setting that adds on to the spiritual aura of the Bhadrakali temple. 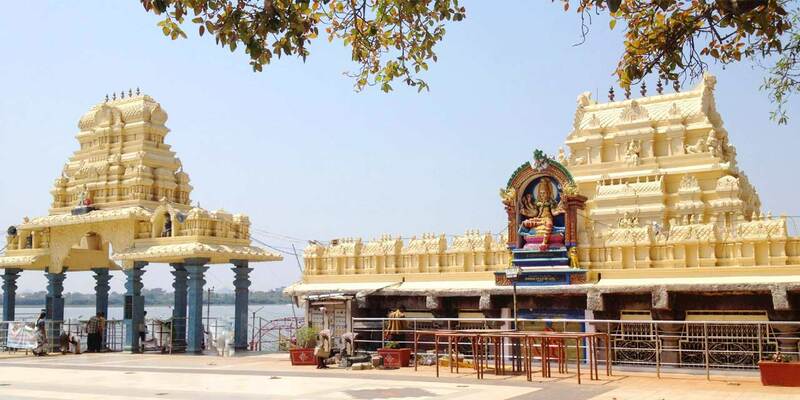 Around Bhadrakali Temple Warangal, there are various other shrines that are worth visiting. Some of these are Sri Shirdi Sai Baba Temple, Padmakshi temple, Sri Pothuluri Veerabrahmendra Swamy temple, Sri Narasimha Swamy temple, etc. Another popular tourist attraction in Warangal, Thousand Pillar Temple is located around 2 km away from Bhadrakali Temple. Visit to both the places can be clubbed together. Built in the style of Chalukyan architecture, Bhadrakali temple is an ancient temple which was built to mark their conquest of Vengi region. The Ekanda Shila statue and the pillars in the temple present a glimpse of Chalukyan reign, while the intricate carvings on the pillars represent the brilliant craftsmanship of Kakatiya reign. Kakatiya Kings has also considered Goddess Bhadrakali as their ancestral deity hence had contributed to the temple as well. It was during the Kakatiya reign that the Bhadrakali Lake was built. A lake connecting temple was also constructed during their rule. However, with the fall of Kakatiya reign, the importance of Warangal Bhadrakali temple also lessened. After many decades, in 1950s Bhadrakali temple was again revived. This was started by Sri Ganapathi Sastri, an ardent devotee of Goddess Kali, who had migrated from Karnataka to Warangal in 1940s. Upon seeing the remains of Bhadrakali temple, he had decided to settle next to the temple which was then just a secluded area. He started the task of renovating the temple, with the help of other locals such as Sri Mudumbai Ramanujacharya and Sri Maganlal Sameja. Many others such as Vangala Guravaiah, Brahmasri Sri Hari Radhakrishnamurthy, Thandra Venkata Rama Narsaiah, Adluri Seetharama Shastry, Tankasala Narasimha Rao, and Maha Tapaswini Mangalambika also contributed in the renovation of this temple. After the renovations, animal sacrifices were stopped in this Bhadrakali Temple. Even the idol of the deity was slightly modified. It is said that the deity had a fierce form originally which was later softened by a few changes. Goddess face was turned a smiling and calming face. Holy chants were also written of deity’s tongue at the time of renovations. Although Bhadrakali temple is renovated to a large extent, ancient pillars near the Garbha Griha are symbolic of its great history. Now, worship based on vedic rituals are performed every day at the temple by the temple priest. Visiting Bhadrakali Temple in Warangal during the festival is an ideal time. During festivals, it is decorated and filled with vibrancy. Hordes of devotees visit during Brahmotsavams, which are organized every year during the month of April or May. During Shravana Masa, which is the month of August- September, temple celebrates many prominent festivals such as Vasanta Navaratri, Shakambari Utsavam and Sharan Navaratri. 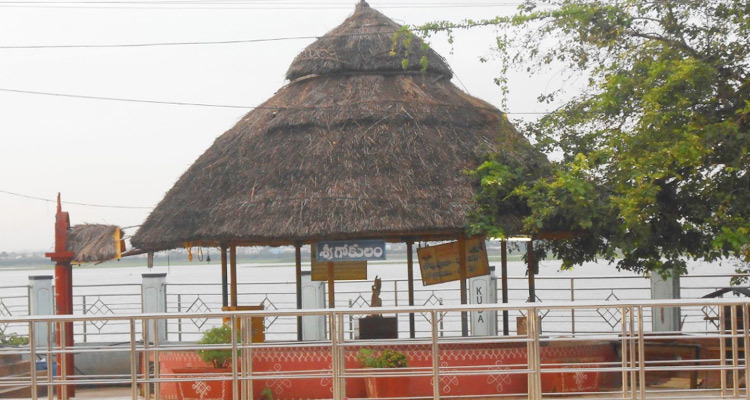 Bathukamma Festival is also celebrated with great fervor here when women and girls with beautifully arranged flowers flower patterns, visit the Bhadrakali Lake to offer prayers. Warangal Bhadrakali Temple timings for darshan are from 5:30 AM to 1 PM. The temple then again opens for devotees at 3 PM to 8 PM. Photography is prohibited inside the temple. Bhadrakali Temple is located around 5 km away from Warangal railway station. It is near the Lal Bahadur College of Warangal. Tourists can easily reach the temple via locally run auto rickshaws or by hiring a private taxi. 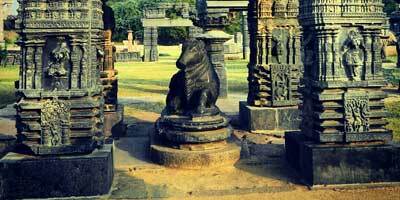 Sravana Tours operate & conduct the Warangal Tours. Submit the following Enquiry form, and we shall call you back promptly.